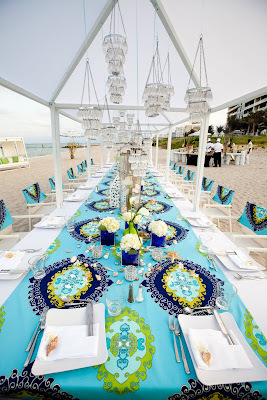 Boca by Design goes to Islamorada! Bridesmaids' held bouquets made up of calla lilies and light pink hydrangea. While our gorgeous bride, Meghan, walked down the aisle holding a bouquet of white hydrangeas, light pink garden roses, orchids, and stephanotis. 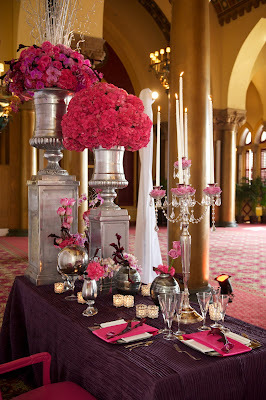 Red floral arrangements surrounded by candlelight really set the mood for this reception at Pierre's Restaurant . 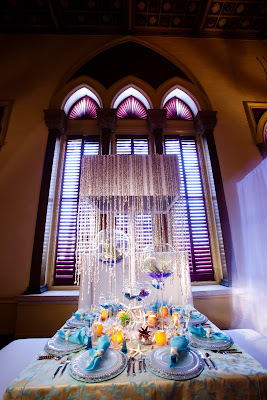 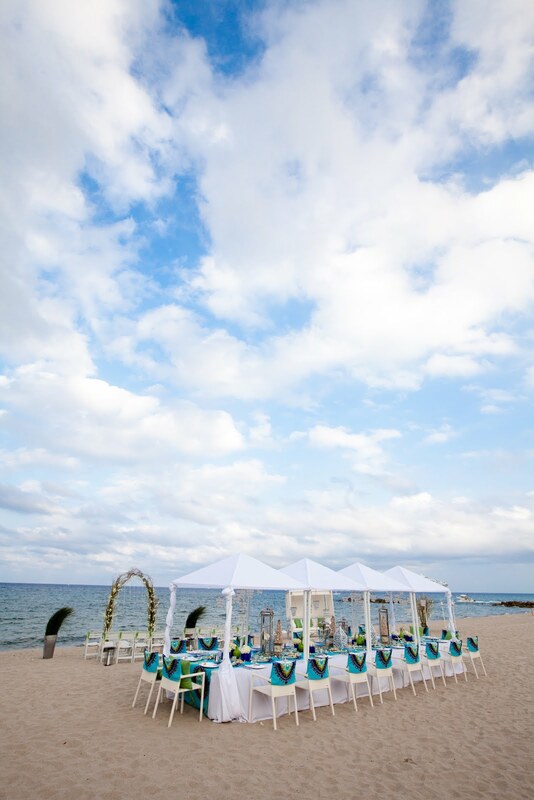 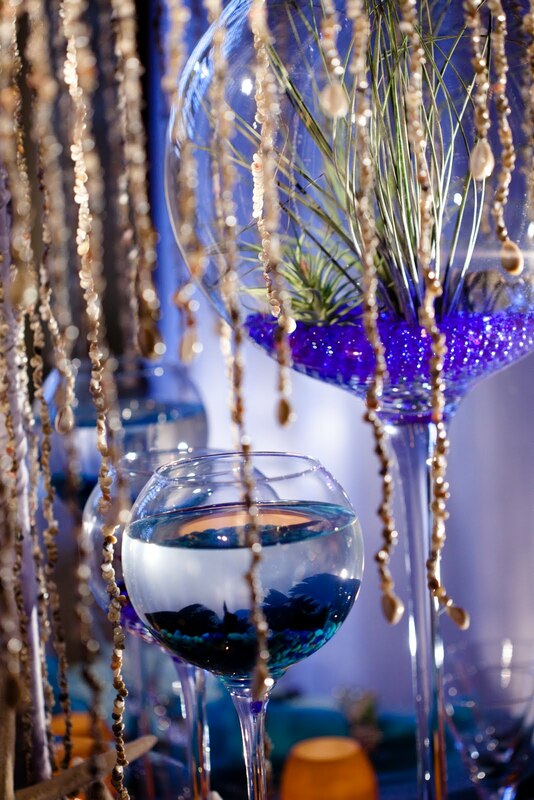 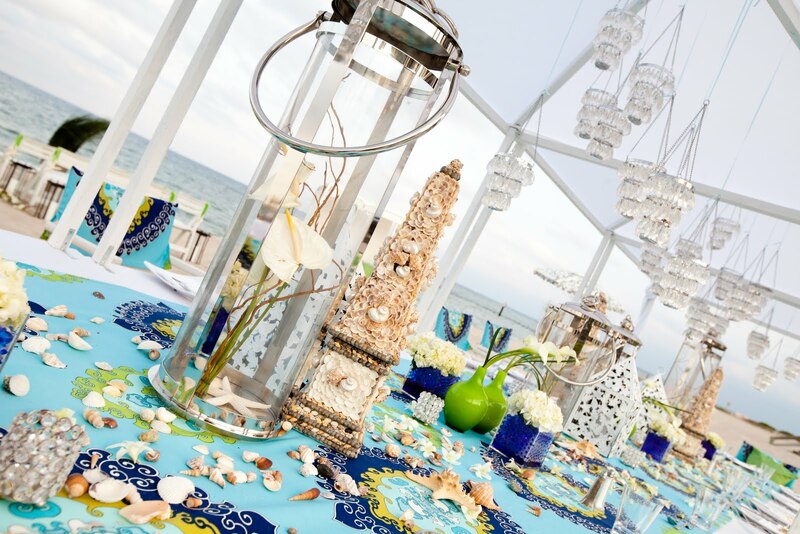 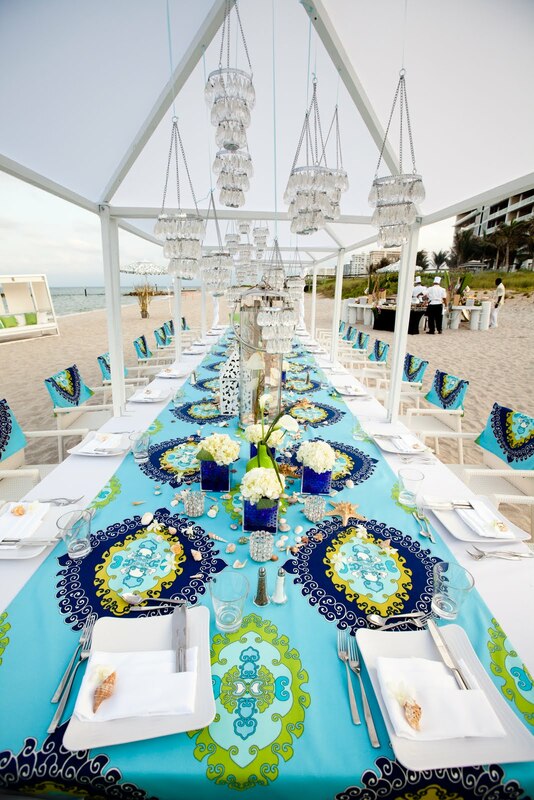 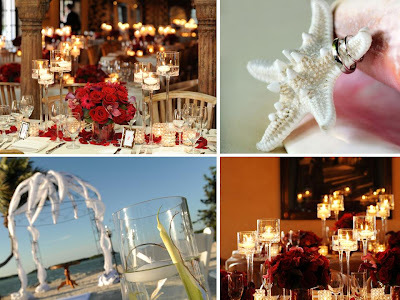 Layered Linens and Live Fish added a nice touch to our beach themed table along with a seashell chandelier and ornate table settings that were surrounded by white leather benches and an Ivy sofa. 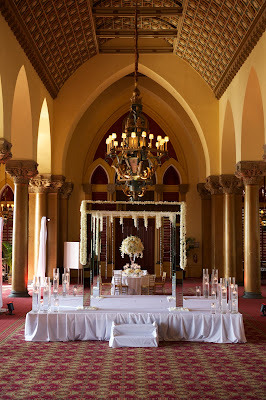 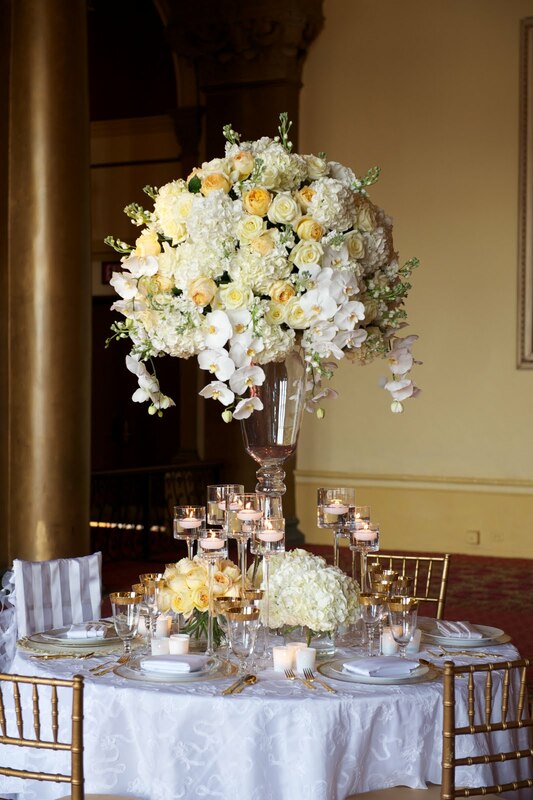 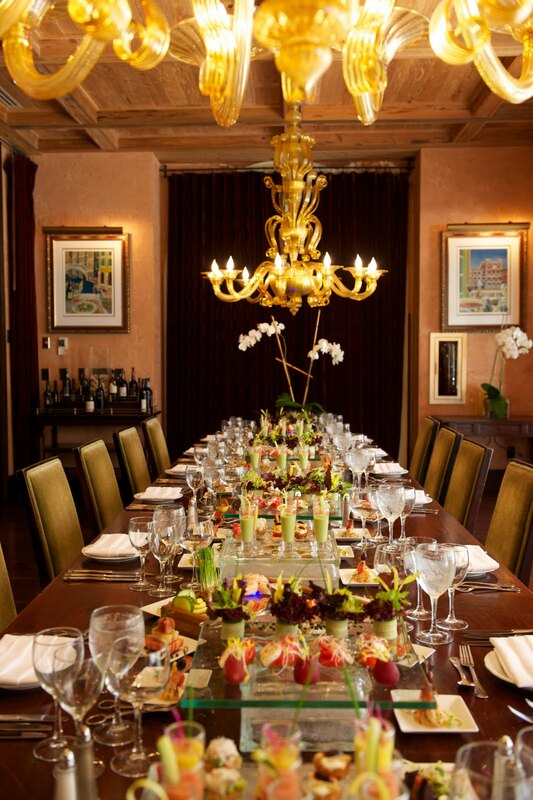 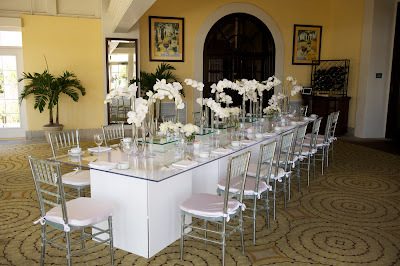 An 8' banquet table was adorned with silver accents and dramatic yet sophisticated floral arrangements! 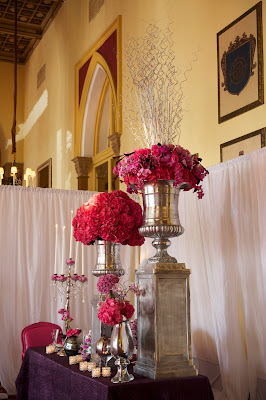 Textured plum linens and pops of pink added to the drama along with Hot pink Cornelius chairs for the bride and groom! 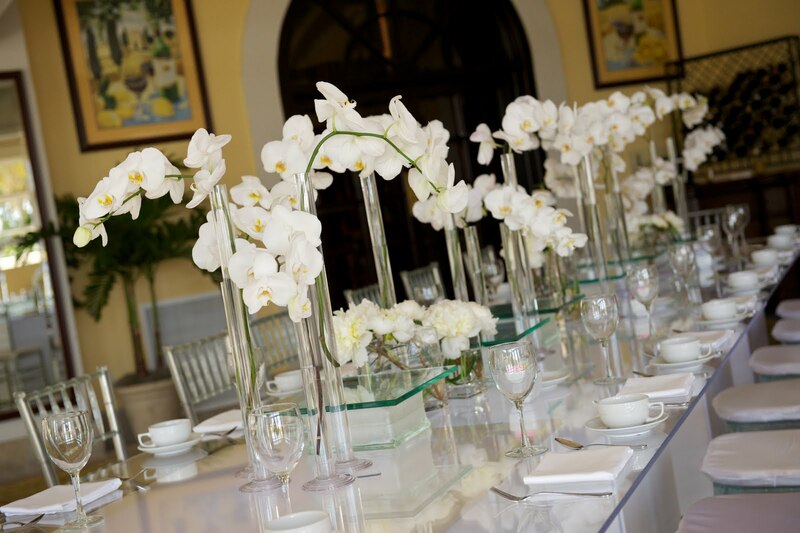 Mirrored Chuppah gives that extra touch of glam and an elegant high topiary with hanging white phalaenopsis orchids is nice twist to your everyday sweetheart table! An "Original" masterpiece!....if i may say so myself! 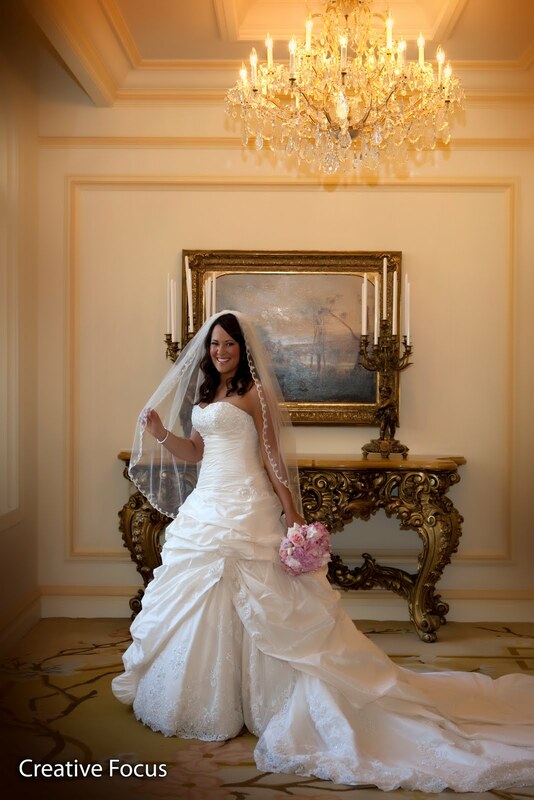 Thank you to all of our fabulous photographers!! 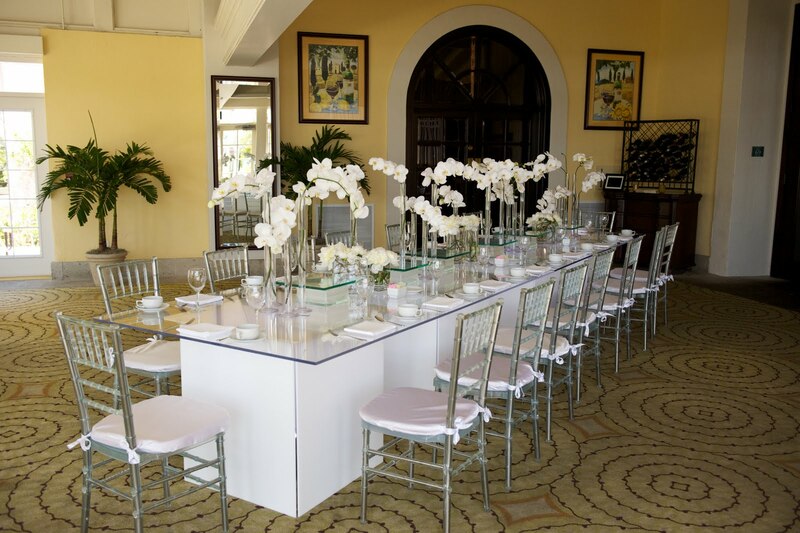 Last month we enjoyed designing the floral arrangements for a beautiful wedding at the Ritz Carlton in Manalapan along with special event designer, Grace Eurglunes. 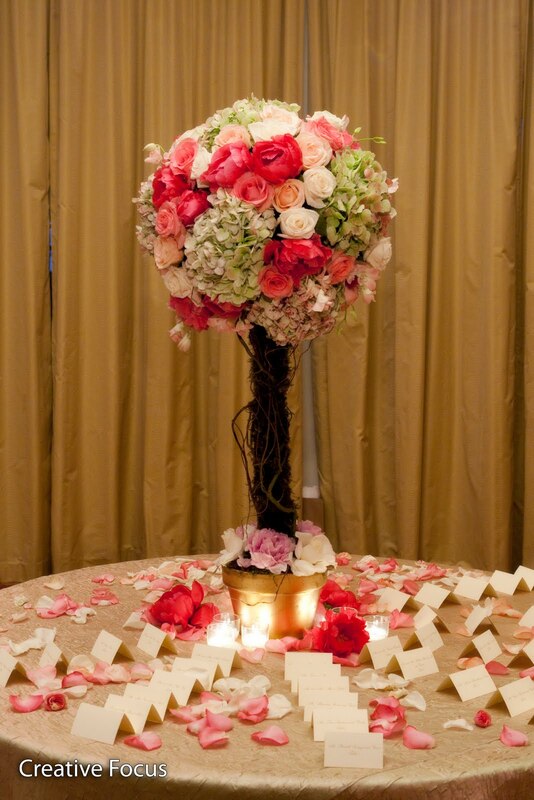 The bride and groom, Andria and Ben, were looking to do a classic romantic look, so obviously they asked us to create bouquets and centerpieces of, light pink roses and deep rich pink peonies - a staple for a traditional wedding. 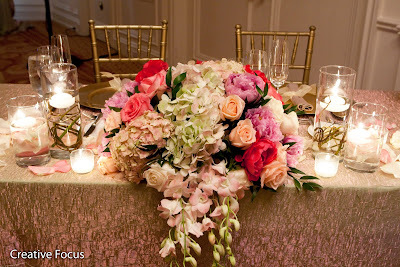 Andria's bouquet was created with an array of light pink peonies, and garden roses accented with white orchids and tulips. 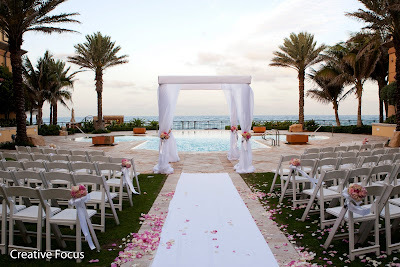 Andria walked down a white aisle lined with pink and ivory rose petals and met her man-to-be under a white fabric structure that we adorned with gorgeous pastel florals. The combination of gleaming white linens and the romantic flowers made for a beautiful classic wedding. 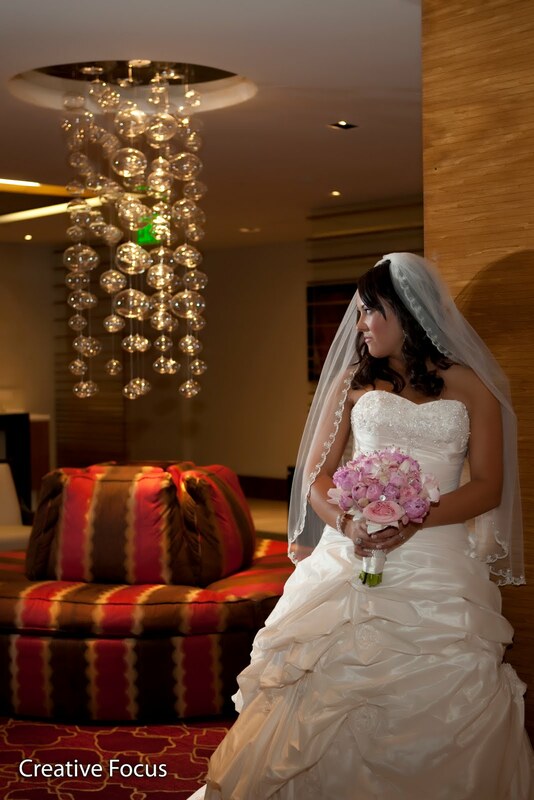 Here are some pictures that photographer Creative Focus captured of the beautiful ceremony, the flowers, and the bride! 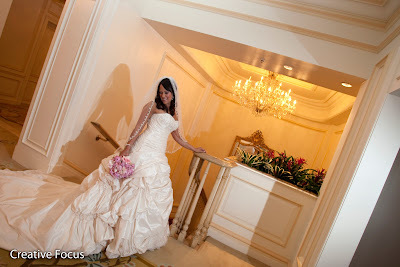 Thank you to Creative Focus for the gorgeous photos!